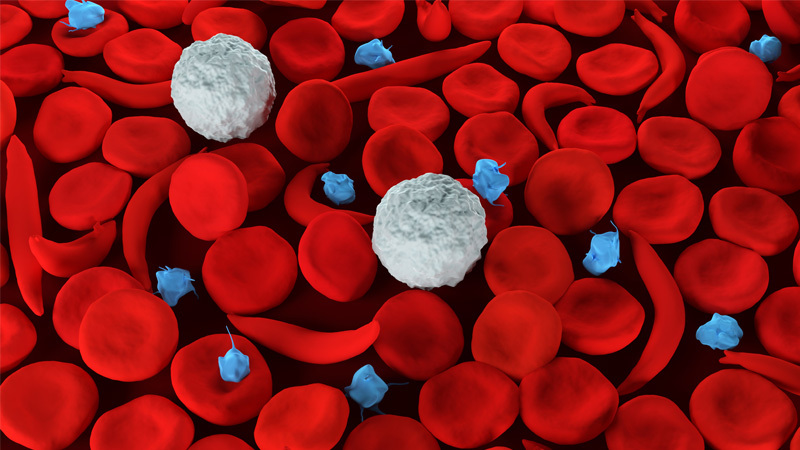 Sickle cell disease is the most common inherited blood disorder diagnosed in the United States, affecting an estimated 100,000 people, most of them African-Americans. In addition, about one in 13 Americans of African descent carry one copy of the gene that causes sickle cell disease, and have “sickle cell trait.” People who inherit two copies have sickle cell anemia, the disorder’s most common form. The disorder is marked by the characteristic “sickled” or crescent-shape red blood cells that can get stuck in small blood vessels feeding bones, creating recurrent bouts of crippling pain that require opioids and sometimes urgent hospitalization. Beyond the disabling toll on patients, the disease accounts for a significant amount of health care costs — an estimated $500 million per year. About 10 to 20 percent of people with sickle cell account for more than 50 percent of the costs, Carroll says, reflecting the reality of patients with sickle cell whose pain episodes are more frequent and more intense than usual.